Brown & Company Realty Group | Opening Doors. Fulfilling Dreams. Head's up: we're selective. Our interview process is in-depth. We want to get to know you, your career goals and what makes you special. 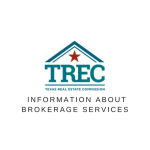 We encourage you to do the same with us, because finding the right brokerage firm can make all the difference for you, your clients, and your business. Dixie Brown has a passion for the Real Estate Industry. She works hard to find the right property for her… Jim D.
Dixie Brown, has a passion and that is real estate. We are relocating to Texas from Colorado and did not know… Randi & Cheri R.
Dixie makes the home shopping and purchase process manageable. She operates with high integrity while… Greg B. Updated: 23rd April, 2019 3:49 AM.